Run Colors is a company with long-term experience in the footwear industry. Its offer includes sports shoes of the world’s most famous brands. The company stands out from the competition owing to an innovative nature of its business activity, whose unique style draws potential customers. This is especially visible on Facebook, where the brand’s fan page has gathered over 500 thousand users. Creation of intelligent discount groups. The Run Colors shop enjoys huge interest among its customers. This means that the servers must handle high website traffic, accumulated in a short time. Therefore, an optimized cloud hosting infrastructure has been prepared and dedicated to handling such a big number of unique users. Safety – a private cloud complying with the requirements of the Polish Inspector General for Personal Data Protection (GIODO) and inaccessible by any unauthorized persons. Efficient customer service in an online shop is the basis for running a business activity well. The new Run Colors shop is integrated with warehouse-accounting software by Insert. The integration takes place via an integrator which automatically collects and distributes selected information between the sales system and ERP software. The scope of the integration includes i.a. data synchronization, systematic update of prices and stocks as well as documentation management. During the works, a warehouse module was also implemented: it allows for conducting effective warehouse management and supports the work of the ERP system. The basic task of this module is error-free location of goods in the warehouse and control of warehouse turnover. Owing to the module, the information about all warehouses whose stocks are to be displayed in the online shop can be entered in the system. Finally, the module enables one to select the main warehouse and establish hierarchy of the remaining locations. The new Run Colors shop possesses advanced integration with Allegro website, owing to which orders can be processed efficiently in a new way. Management of Allegro account settings, publishing the offers (auctions), order processing and the like take place via a specially prepared panel. When offering a product for sale on Allegro, the shop administrators can use a ready offer template, designed on the basis of a standard shop template: it either uses descriptions, photos, product profiles and titles from the shop description or creates individual descriptions and titles for every auctioned product. Run Colors is not just an online shop, but also designer stationary shops. 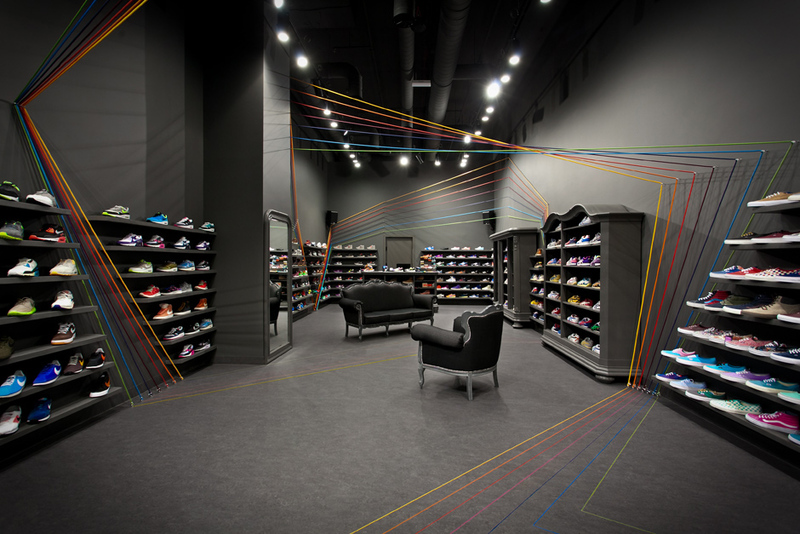 In the Run Colors shop in Warsaw, customers may buy products as well as participate in thematic events. The described locations and events are regarded as cult among regular visitors. The design of the online shop was prepared based on the brand’s characteristic elements. Responsive Web Design was the methodology used for that purpose because it favors correct website display regardless of the device type used. A responsive website allows for reaching a greater number of potential customers, lowers the costs related to making changes and positively influences website positioning in the Google browser. 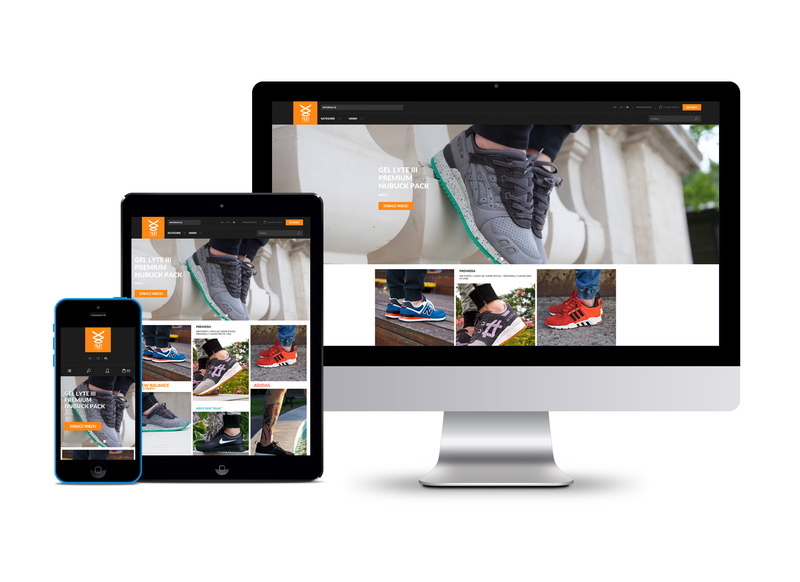 Therefore, the new Run Colors shop is responsive, transparent and adjusted to current standards. In the new Run Colors shop, the administrator can create intelligent discount groups. Their functionality is based on the possibility of establishing specific groups of products with determined parameters such as category, producer or color. Each of those groups can have different values of discount vouchers ascribed; the administrator can also decide if the voucher applies to the entire basket or just to specific, selected products. The new Run Colors website is currently a fully responsive, modern page complying with current standards. The transfer of the eCommerce system to i-systems software and the use of cloud hosting infrastructure allows for efficient handling of a big number of unique users. The integration with the warehouse-accounting software has resulted in a significantly higher level of customer service and customer satisfaction.